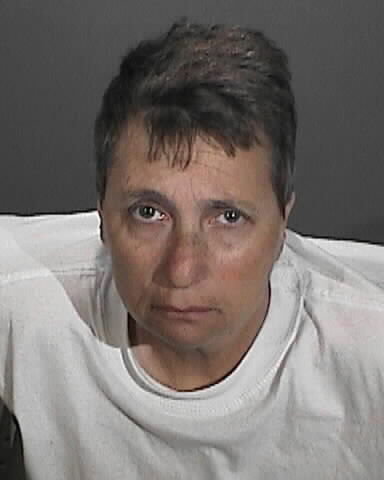 Margo Bronstein, 57, was sentenced to three years and four months in prison after being found guilty on four counts of vehicular manslaughter in a 2014 crash that killed four people Photo provided by Redondo Beach Police Department. In Los Angeles Superior Court on Tuesday, Margo Bronstein was sentenced to three years and four months in prison following her plea of no contest to four counts of vehicular manslaughter with gross negligence. By entering a no-contest plea to the four charges, Bronstein waived her right to a trial and was found guilty. She was the driver of a vehicle that crashed through an intersection crowded with pedestrians on Dec. 17, 2014. Four were killed, including six-year-old year old Samuel Gaza; his mother, Martha Gaza, 36; Mary Ann Wilson, 81; and Saeko Matsumura, 87. Thirteen more, including Bronstein, were injured that night. Accounting for 1,105 days Bronstein has credited to her, she will serve about additional 110 days in prison without probation. “I thought it’s inadequate, and didn’t reflect the actions that [Bronstein] took,” said David Aguilar, brother to Martha Gaza and uncle to Samuel Gaza. Aguilar said that black box data retrieved from Bronstein’s car shows that the throttle was “nearly fully engaged,” which would have come to light had the case gone to a jury trial. The collision occurred when a crowd of pedestrians left a Christmas concert held by St. James Catholic Church. Bronstein’s car ran a red light, swerved around stopped cars, and crossed the crowded intersection of Vincent Street and Pacific Coast Highway, striking several people. Her car then hit a stopped vehicle before coming to a halt. Gary Albano, a witness to the incident, told the court that the most lasting image of the night was the shoes left laying in the crosswalk while their former owners laid injured, or worse, 20 yards up the street. It was initially believed by investigators that Bronstein was driving while intoxicated with prescription medications she used to control pain, leading to earlier DUI charges; however, a later toxicology screening showed that drug levels in her system were below that of a therapeutic dose, leading the District Attorney’s office to drop those charges. Her public defender, Ken Erlich, said Bronstein suffered from a number of medical conditions, including spinal compression, congenital birth defects and a series of other maladies. Her conditions confine her to a wheelchair and, until the night of the crash, forced her to drive a Department of Motor Vehicle-approved hand-controlled car. “My job is sometimes not an easy one,” said Judge Laura Priver, offering her sympathy and empathy to the friends and family of the victims. However, she noted that the court has to consider the victims, the circumstances of the event and the defendant’s history in total. That Bronstein had gone 57 years with no criminal record, as well as her disability and the lack of intoxicating substances in her system, weighed into the court’s sentence. Priver also recommended that Bronstein never again drive a motor vehicle. Many of the victims’ friends and family members in attendance, including the loved ones of Mary Ann Wilson, used their impact statements to ask Judge Priver to impose 10 years for each count, and have each charge served consecutively. Many left the courtroom stunned by the sentence handed down. David Mendez is the beat reporter for Redondo Beach. If you've got tips, questions, or just want to talk, feel free to reach out on Twitter, via email or by phone, at 424-269-2834.